Evolution and climate change, for newbies and experts alike. 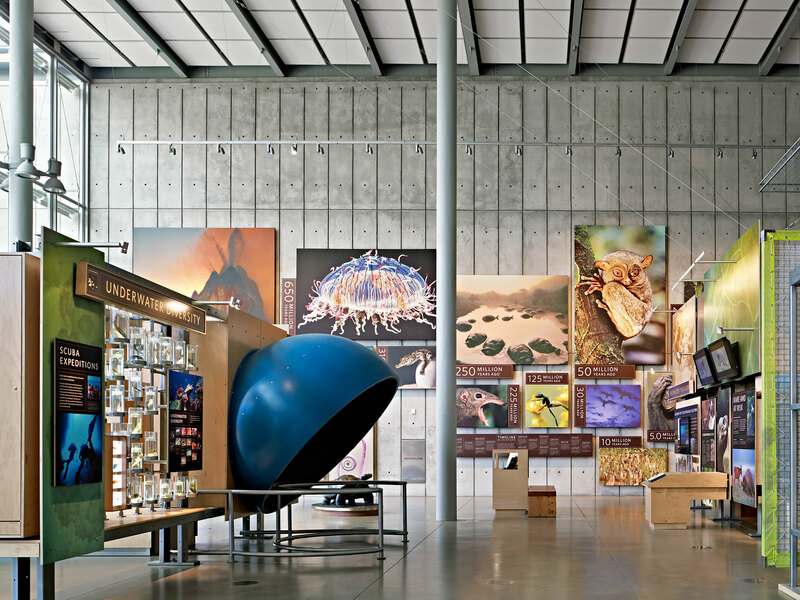 The challenge: Design 20,000 square feet of exhibit space in Renzo Piano’s new museum, have it blend seamlessly into the building and the park setting, and then engage, educate and inspire a global audience. Altered State: Climate Change in California examines climate change globally and locally. The exhibit looks at rising and acidifying oceans, melting ice, hotter and drier environments, and extinction to illustrate what we stand to lose. Visitors can learn about efforts to help mitigate the effects of climate change and also make individual pledges to alter their own impact on the planet.